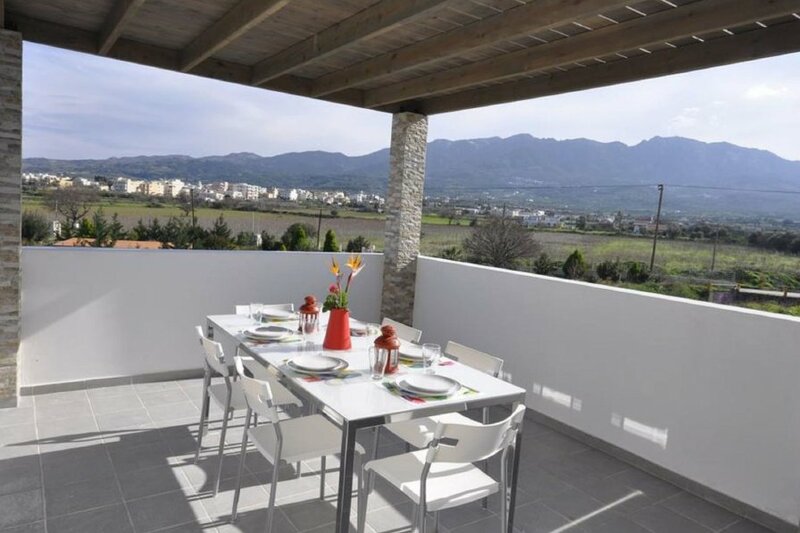 Modern, comfortable villa Tigaki Luxury Villa II, 3 storeys, detached, built in 2012. In the district of Tigaki 10 km from the centre of Kos City, in a quiet, sunny position, 1.8 km from the beach. Private: well-kept garden with flowers and trees, lawn for sunbathing, swimming pool angular (47 m2, 01.05.-31.10.). Barbecue, children's playground. Linen change 3 times per week. Towel change 3 times per week. Room cleaning 3 times per week. Parking at the house. Shop 1.3 km, grocery 1.3 km, supermarket 1.3 km, restaurant 1.3 km, bar 1.3 km, bakery 1.3 km, cafe 1.3 km, sandy beach Tigaki 1.8 km. Nearby attractions: Ancient Agora of Kos 11 km, Asklepion 9 km, Neratzia Castle 12 km, Tree of Hippocrates 11 km, Aquatica Waterpark 23 km. Please note: car recommended. Suitable for families, baby equipment on request (included). Groups of teenagers on request only.